Who will make it to India's squad for the World Cup? Less than four months remain for the ICC World Cup, the biggest spectacle in cricket, to commence. The championship returns to England, where it started in 1975, after a gap of 20 years. There has been a change in the format of the tournament again, with all the sides playing each other in the round robin stage. The top four sides would move into the semifinals, as in the 1992 edition. This means all teams would have to play more matches and the duration of the championship longer than usual. Though players might find this to be more tiresome and strenuous, the fans of the game would certainly look forward to seeing more high quality cricket between the best sides in the world in conditions tailor-made for the sport. India have emerged as the front-runner for the tournament on the basis of their performance during the last one year. The Board of Control for Cricket in India (BCCI) wisely prepared a playing schedule that saw the Men in Blue match their strength against the other top sides in the world. Further, the fact that there were tours of South Africa, England, Australia and New Zealand during the last one year meant that the players could take on their opponents in difficult and testing conditions as well. Hence, if Virat Kohli’s boys presently have the look of battle hardened veterans, they only have to thank the BCCI. 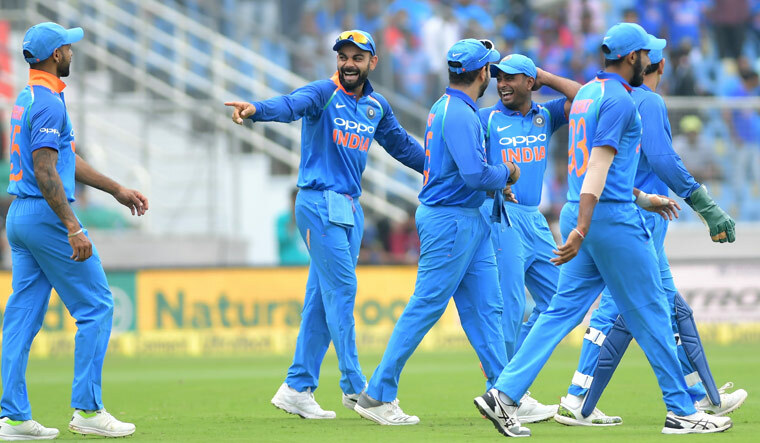 India’s performance during the limited overs series in New Zealand and Australia, where they exhibited command of the game despite the odd collapse, has brought focus on the composition of the side for the World Cup. The Indians have experimented with a large number of players in various combinations and taken risks in an admirable manner to expose them to challenges of different nature. All this was done with the intention of getting the right balance for the World Cup. Hence, it is imperative that the best possible squad of 15 players are selected for doing duty for the country. On present form, eight players can consider themselves as certainties in the side. They are skipper Kohli, Rohit Sharma, Shikhar Dhawan, Mahendra Singh Dhoni, Jasprit Bumrah, Bhuvneshwar Kumar, Mohammed Shami and Hardik Pandya. In Kohli, India can boast of the best batsman in contemporary cricket and his performance at the crucial No. 3 position would be critical to the fortunes of the side. Rohit and Dhawan have evolved into a pair of ideal opening batsmen; the left-right combination complements each other. In fact the top three in the batting line-up is without doubt the best in the world presently. 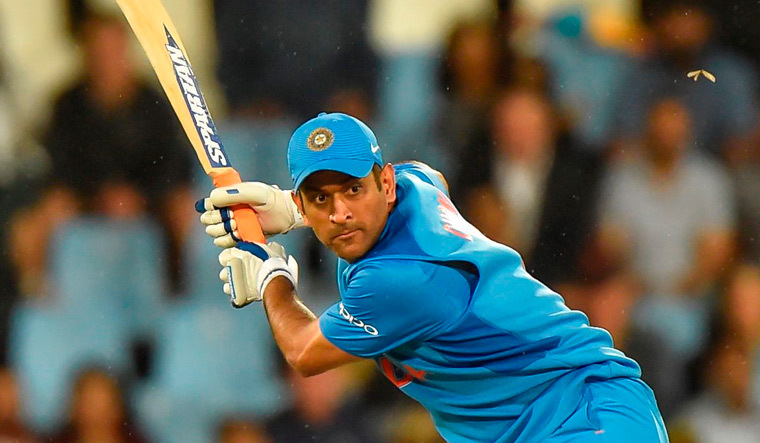 Dhoni silenced the sceptics, who kept on chattering that his abilities as a finisher were on the wane, with a string of powerful performances in Australia. He is, without doubt, the best stumper in limited overs cricket, besides being a brilliant judge of the game and a motivator par excellence. He can guide the side during the closing overs with his mastery over the situation and quick running between the wickets despite the lesser frequency with which big hits come out of his bat. Dhoni’s form, both behind and in front of the stumps, would be vital in deciding how far the side progresses in the tournament. 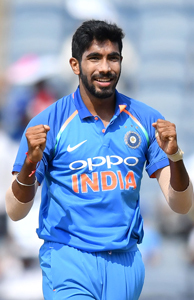 India possess a balanced pace and seam attack in the trio of Bumrah, Bhuvneshwar and Shami. They are capable of hitting the deck at speeds in the zone of 135 kms/ hour consistently and, more importantly, have mastered the art of bowling in tandem. This ensures that batsmen are kept under relentless pressure at both ends and, with no easy runs available, they would be forced to take chances against the bowlers. The availability of a pace bowling all-rounder in Pandya adds depth to the seam bowling and gives more options to Kohli. Pandya also possesses the capacity to turn the match on its head with his explosive batting while his agility on the field is an added asset. Thus it can be seen there exists some gaps in the middle order after these slots are taken. Former Aussie captain Greg Chappell had, during the short period that he was coach of the Indian side, held that No. 4 position in the batting order was the most important one in 50-over cricket. Though his insistence that Sachin Tendulkar bat at this slot met with disastrous results in the 2007 World Cup, the strategic significance of this position cannot be underestimated. Probably Indian head coach Ravi Shastri also had this in mind when he said the option of Kohli batting at this slot was under consideration. Of the many batsmen that India have tried in this position, Ambati Rayudu is the one who has shown most promise. His knock of 90 in the last ODI in New Zealand, which helped the side recover from 18/4 to a respectable, match-winning total of 252, indicates that he has come of age at this level. For the other batting slots, the names that come to mind based on performances during the last couple of years are those of Dinesh Karthik and Kedar Jadhav. Karthik has demonstrated time and again that he possesses the skillsets and cool head to tackle the end overs successfully, whether batting first or chasing. With him at the crease, one can be reasonably certain that a strike rate of 120 plus is on the anvil. He can also don the role of a second wicket-keeper in the squad. Jadhav also has the potential to come good when the chips are down and his bowling, though unconventional in style, has been very effective, both in curbing the run rate as well as in picking up a surprise wicket. Though he falls short of falling into the category of a spin bowling all-rounder, he can be a useful option who the skipper can try, if the situation so demands. 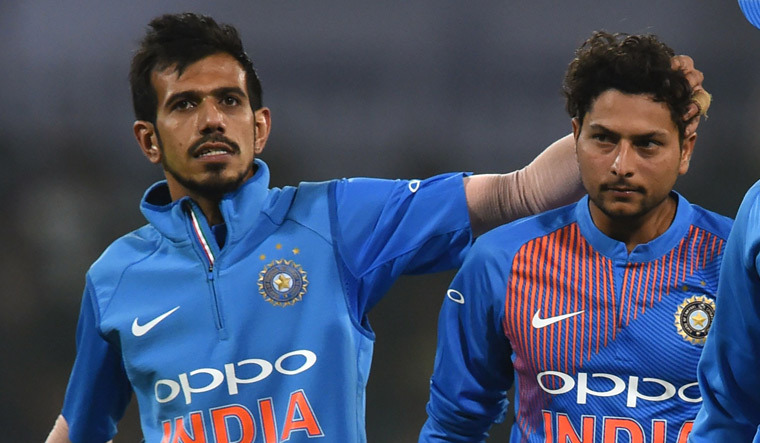 On the bowling front, the success of spinners Kuldeep Yadav and Yuzvendra Chahal, while bowling together, have brought back memories of the golden days of such spin twins as Vinoo Mankad-Subhash Gupte and Erapalli Prasanna-Bishan Singh Bedi. Though it is too early to say whether “KulCha” would go on to emulate the accomplishments of these illustrious predecessors, there is little doubt that both of them deserve their place in the side for World Cup on the strength of their consistent performances. Kuldeep’s brand of left-arm wrist spin and chinamen makes him a rarity in international cricket and he has the potential to develop into a master of his craft. Chahal, on the other hand, is a conventional right-arm leg-spinner, who does not shy away from attacking the batsmen in order to pick up wickets. Both Kuldeep and Chahal have economy rates below five and averages in early 20s in ODIs, which show how effective they have been in curbing flow of runs as well as in picking up wickets. This brings one to the last two slots in the 15-member squad, which should be filled up based on possible requirements that might crop up during the World Cup campaign. There could arise need for a spare opening batsman or one more hand at spin bowling, in case the specialists selected get injured or suddenly lose form during the championship. Similarly, the team management might like the option of having a left-handed batsman in the middle or lower middle order to tackle the end overs more effectively. Further, the squad has only one genuine all-rounder in Hardik as Jadhav cannot be relied upon to bowl a full quota of 10 overs and one more cricketer of this type would be a welcome addition. Selectors would have these factors in mind when they sit down to decide the team. K.L. Rahul was the prime contender for the reserve opener's berth as he could also bat in the middle order or at the No. 3 spot, in case Kohli decides to drop down the order. However, his poor form with the bat in Australia and a forced absence from the side in the wake of intemperate comments in a TV chat show have almost put paid to his hopes. Rishabh Pant has caught the attention of the followers of the game with his explosive batting and him being left-handed would be an added advantage. However, he does not have any experience of opening the innings and if he makes the squad, it should be at the expense of Karthik. My personal choice for this slot would be Ajinkya Rahane, who can open the batting and bat in any position in the top or middle order. Besides, he is the sort of batsman any captain would want in the side in case the wicket has an extra layer of grass or the conditions favour swing bowling as could happen in England. 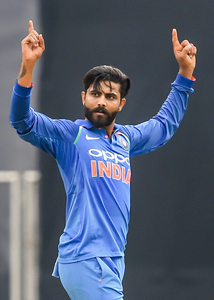 For the last place in the squad, I would choose Ravindra Jadeja over the claims of players such as Khaleel Ahmed, Vijay Shankar etc, who have also been tried out. Jadeja is an aggressive left-hand batsman, can adapt his bowling style effectively to the situation of the game and is a brilliant fielder. He also possesses a positive attitude that is difficult to match besides having eons of experience of playing cricket at the highest level. I would rather go with him in the pressure cooker like cauldron of World Cup rather than experiment with youngsters. Thus, my World Cup squad would be: Virat Kohli (captain), Rohit Sharma, Shikhar Dhawan, Mahendra Singh Dhoni, Jaspit Bumrah, Bhuvneshwar Kumar, Mohammed Shami, Hardik Pandya, Ambati Rayudu, Kedar Jadhav, Dinesh Karthik, Kuldeep Yadav, Yuzvendra Chahal, Ajinkya Rahane and Ravindra Jadeja.